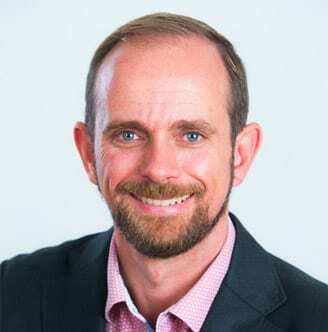 Dr Jamie Ross completed his medical degree (MBBS) at the University of Queensland in 2006 and has worked in the Mater Children’s Hospital and Queensland Children’s Hospital in Brisbane, as well as in paediatrics units and children’s hospitals in Tasmania and Canada. He has a special interest in neurological and neurodevelopmental presentations, having worked as a child neurology fellow at the Lady Cilento Children’s Hospital. By the time he was six years old, Dr Ross had already decided he wanted to be a doctor – jumping right from the dinosaur stage to doctor. He has always had an interest in understanding how things work, and has been drawn to help those in need, so the medical profession was a natural fit. Dr Ross receives great satisfaction from helping families to view the world through the eyes of their children and finds it immensely rewarding when parents arrive at a greater understanding of their child. He sees his job as two-fold: not only to explore and treat medical explanations for a child’s symptoms, but to guide families in their role of supporting their child’s development. His experience as a long-course triathlete informs the importance of physical activity in the holistic management of the children he sees. Prior to his medical degree, Dr Ross completed a Bachelor of Science (BSc. ), majoring in developmental biology, also from the University of Queensland. He holds a critical care fellowship from the Hospital for Sick Children in Toronto, he is a Fellow of the Royal Australasian College of Physicians (FRACP) and a member of the Neurodevelopmental and Behavioural Paediatric Society of Australasia.